The beneficial effects rendered by the probiotics are now beyond doubt and most of the people around the world believe in their effectiveness and efficacy. 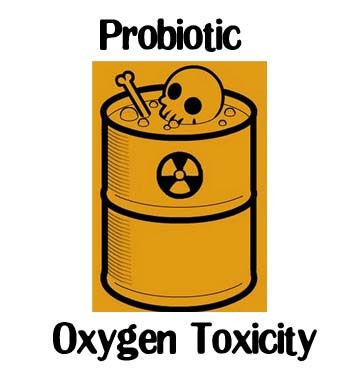 Many of us take probiotic supplements through dietary intake as food products. A large number of our traditional foods are based on the fermentative capability of these probiotic bacterial strains and our forefathers were also in the habit of taking fermented milk and other foods although with little knowledge about the probiotic bacteria. The beneficial strains helped them maintain good health away from frequent encounters with disease manifestations. The commercially available probiotic strains are used by the individuals simply as lyophilized powdered products, chewable tablets and so on. 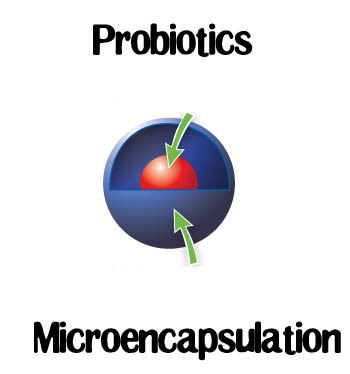 The form of the probiotics also vary from live to heat inactivated dead cells with even the DNA or the protein parts of the strains being capable of rendering their beneficial effects. 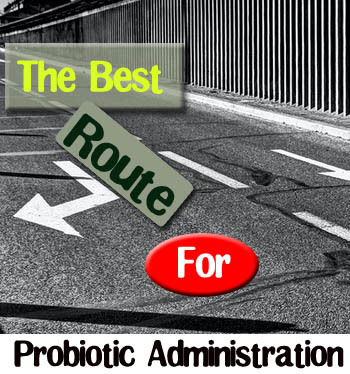 The commercially available probiotic products are more effective from the point of view that they have been produced keeping in mind all the safety guidelines. With the onset of the winter season, a large proportion of human beings suffer from symptoms of cold and flu of varied severity while the children being the worst affected among them. The causative agents behind the common cold are generally viruses like Influenza A, Influenza B, etc. The common cold becomes one of the major reasons behind the huge number of work and school absentees that has a tremendous effect on the economy. The available therapeutic interventions are only but temporarily effective against the diseased state. Moreover, some of the individuals are more prone to cough and cold than others and we often refer to them as the ones with a weak immune system. However, the existing knowledge about the causal agents behind the cold and flu symptoms suggests that these agents are only responsible to make us immuno compromised under the set of conditions as prevalent during the problem. Therefore, there is a need to search for therapeutic agents that can bolster our immune responses against such seasonal change related attack on our health. 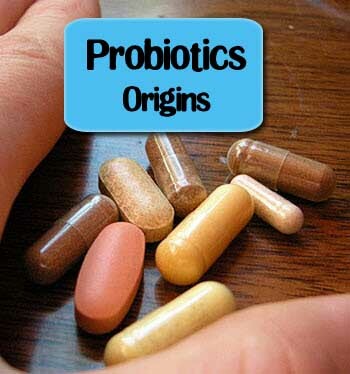 Probiotics have been already implicated to be beneficial in a wide variety of human diseases. 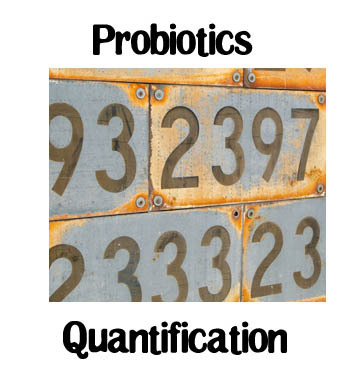 There are also a lot of data regarding the ability of probiotics in the stimulation of our immunity. Hence, the use of probiotics to inhibit the influenza viruses, bolster immune responses and provide protection against cold and influenza can definitely be contemplated. In one of the first ever studies to find out the effect of probiotic administration (a combination of L. reuteri and Bifidobacterium animalis) on the health of the children, it was found that the incidences of fever was reduced among them. In a clinical trial with 326 children, 248 of them showed reduced incidences as well as duration of fever, cough, antibiotic prescriptions and rhinorrhea upon the intake of probiotic strains. It was also found that the group who were administered with only one probiotic strain was found to interfere with only the incidence of cough and fever. Nonetheless, both the kind of probiotic administration provided some degree of reduction in the duration of the symptoms. This suggests that a combination of probiotic strains are needed to alleviate the problems associated with the symptoms of cold. The probiotic products like Probacto that has a good blend of the beneficial bacteria can therefore be quite useful in the intervention of such cold related problems. According to yet another study the combinatorial intake of the three probiotic strains, B. longum, L. gasseri and B. bifidum supplemented with minerals and vitamins was demonstrated to result in the reduction of the severity and duration of the common cold. Similar results were observed through the intake of probiotic supplements containing the strains of L. acidophilus and B. animalis. According to a controlled trial with probiotic strains on school children that was published very recently in the journal Pediatric International, it was demonstrated that the daily intake (twice per day) of probiotic supplements reduced cold symptoms in school children. The effectiveness of the combinatorial intake of probiotic strains as compared to a single strain was once again proved through the comparison between the administrations of L. acidophilus alone or in combination with B. lactis. Obviously, the combinatorial approach seemed to provide protective effect from a broader perspective. Soletti and his group published their recent findings on the efficacy of using synbiotics in the control and prevention of common cold symptoms in the Journal of Clinical Gastroenterology. Their work suggests that the prolonged period of intake of the synbiotic formulations ( like the use of fructooligosaccharides, inulins and probiotic strains) besides providing protection against the common cold, helps in alleviating respiratory disorders as encountered during the winter season. The mechanism of action through which the probiotics might provide beneficial effects during cold seasons and protect from the common cold symptoms including reduced cough and respiratory ailments has to do mainly with the immunomodulatory capabilities of the probiotics. Indeed, a number of reports have associated the probiotics with the enhancement of immune responses in human beings through the Toll-Like receptors. They have also been found to induce the innate immune system through the stimulation and release of a number of cytokines. Winkler et al. has observed very recently that the administration of probiotic combination can enhance cellular immunity in order to effectuate the decrease in cold symptom severity. As said earlier a single strain probiotic intake was not as effective as the administration of a combination of two strains, i.e., the two strains could produce a synergistic effect. The synergism in part can be explained by the fact that the bifidobacterial strain might be associated with the inhibition of the respiratory viruses in getting adhered to the epithelial layer while the other strain can grow and induce immune responses. So, the main effect of probiotics in fighting cold symptoms is to stimulate the otherwise weakened immune system to fight out the viruses. However, the mere ability to boost the immune responses might not be considered sufficient to provide health benefits against the virus and that requisite clinical trials are a must before it can be said with confirmation. With the studies available it is highly promising to use the probiotics against the virus mediated respiratory ailments. There are also suggestions that the use of probiotics as a therapeutic intervention to provide relief in cases of common cold can alleviate the need for medicinal application based relief which are only but transient in nature in their mode of action. 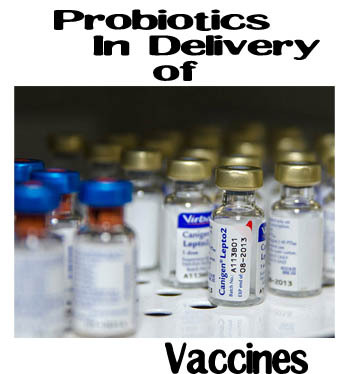 Moreover, the probiotic strains have been found to be enhancing the vaccine response in the cold and flu affected individuals. It is noteworthy to mention that the use of probiotic strains in the inhibition of cold and flu should be quite judicious as the specific strains in these cases have been known to induce specific responses in the recipients. 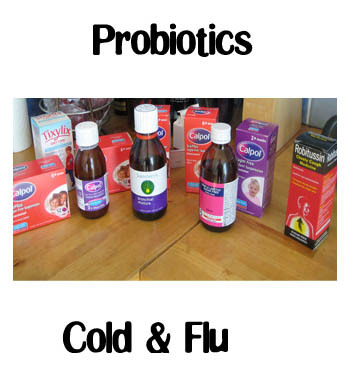 The right choice of the probiotic product with the right combination of the bacterial strains is the key to the success in their use as agents to fight symptoms of cold. Can Probiotics Provide Relief From Stress? In today’s competitive world we encounter stress particularly with our busy schedule. Stress can generally be outlined as the response of our body to a challenge like an environmental stimulus. The sympathetic nervous system of our body gets activated in presence of stress signals. In general, stress produces negative vibes that can affect the physical as well as mental wellness of an individual. 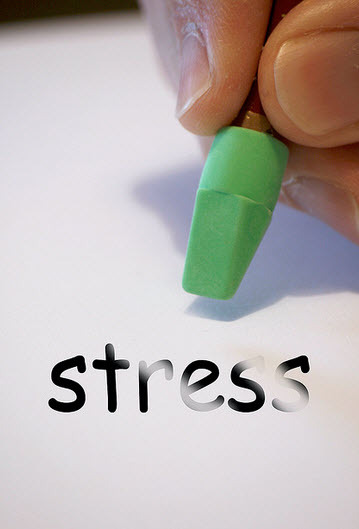 Therefore, there is a need to control the stress and its related ill effects on our health. The probiotics have seemingly shown potentials to provide us relief during stressful conditions. There are previous reports that suggest that alterations of the enteric microbiota experimentally can modulate the neural functions within the host which leads to changed cognitive and emotional responses on reaching adulthood. The first ever evidence for such association came from animal studies that compared the infected and germ free animals. The earliest possible consumption of probiotics was through the intake of fermented dairy and other food products. The people in ancient civilizations have made the habit of administration of the fermented food products due to the beneficial effects on their health. A good knowledge and thorough observation about their food was what made possible for such habits. The probiotic origin through dairy products can be traced back to the very beginning of the earliest civilizations. Their mention can be even found within the sacred books of Hindus and Christians. A large number of traditional fermented food products were routinely used by people all around the globe. Many of those foods were in use due to their potential therapeutic roles in humans even before the bacterial existence was discovered. The great Greek physician Hippocrates had advocated the functional food concept a long time back through his theory, ‘let food be your medicine’. The historical association between Lactobacillus and fermented milk produces enough evidence that during that time the dairy product consumption was as good as the intake of probiotics. The preparation of dairy products through fermentation methods also presents one of the oldest methods of choice for preserving food for prolonged period of time. According to available literature the concept of fermented milk existed in Middle East a long time before the era of Phoenicia. During the early 7000 BC, the traditional foods of the Egyptians like Laban Khad and Rayeb were prepared through the fermentative action of bacteria what we now know as probiotics. They believe in traditional claims that even Abraham credited healthy habit of fermented milk consumption for his longevity. Although the use of fermented milk products was initially practiced in the East and Middle parts of Asia, it was rapidly spread to Russia and Europe by the Mongols, Huns and Tartars when they raided these regions. Subsequently, a number of fermented milk products including kefir and yoghurt have found their origins in the Eastern Europe or Russia. 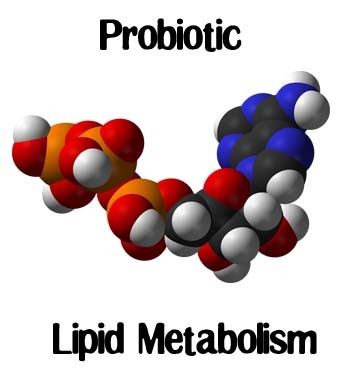 How Do Probiotics Aid In Lipid Metabolism?